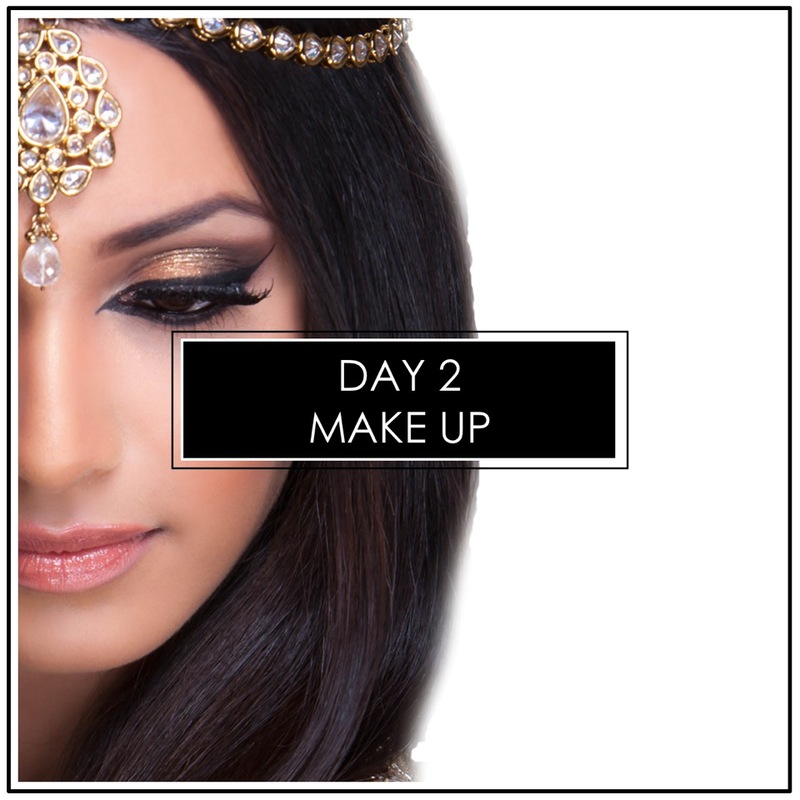 The Ash Kumar Makeup, Hair and Styling Course teaches the latest trends in Asian beauty. This professional, progressive and dynamic course is taught by industry leaders who are passionate about makeup. Through a hands-on interactive experience, the Academy will teach you unique application techniques to achieve specific looks as well as develop your skills and creativity. 1st payment of $500 CAD is required to book and secure your place in the course. 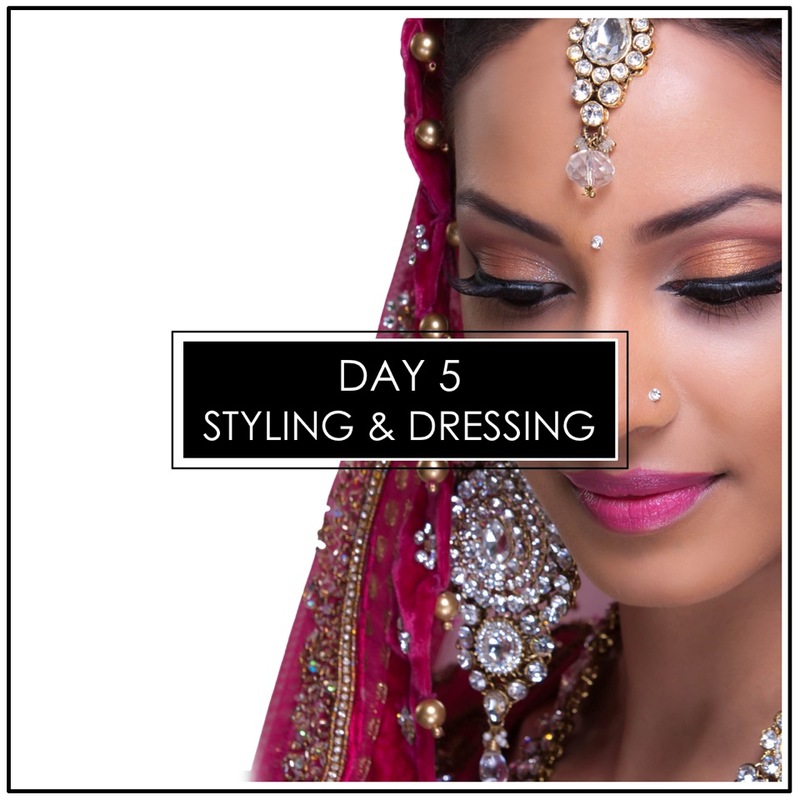 Hair Basics, Bridal and Traditional Looks. Creating looks with high fashion styling. 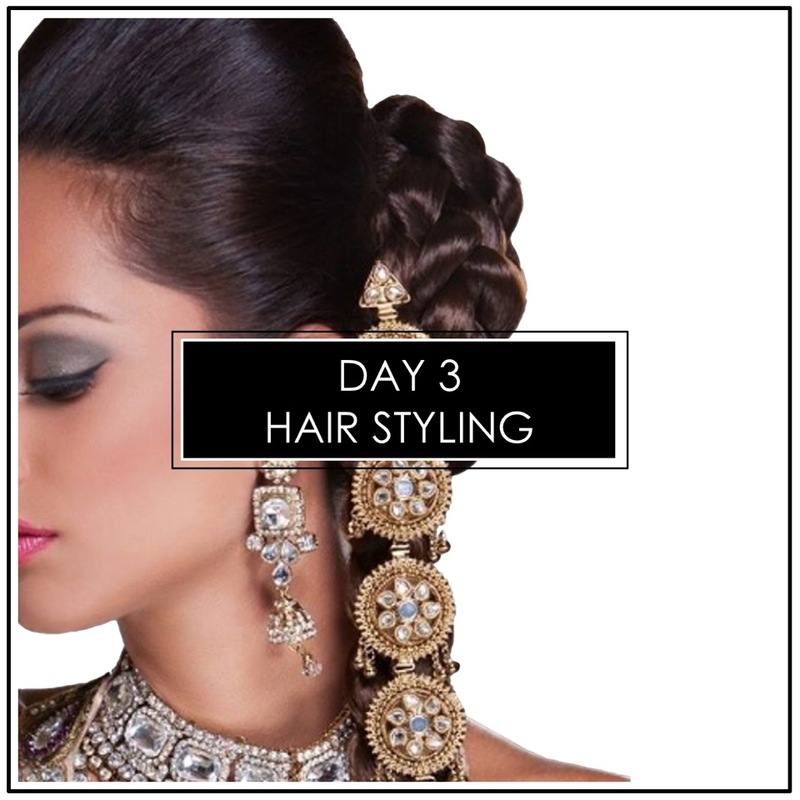 Red Carpet Looks and Bollywood hair trends. As a makeup artist you will learn how to “prepare the canvas” (face). Preparing the canvas is the first element in every application both beginning and advanced. Understanding the very importance of base makeup, how and why - is the beginning to the ultimate finish. 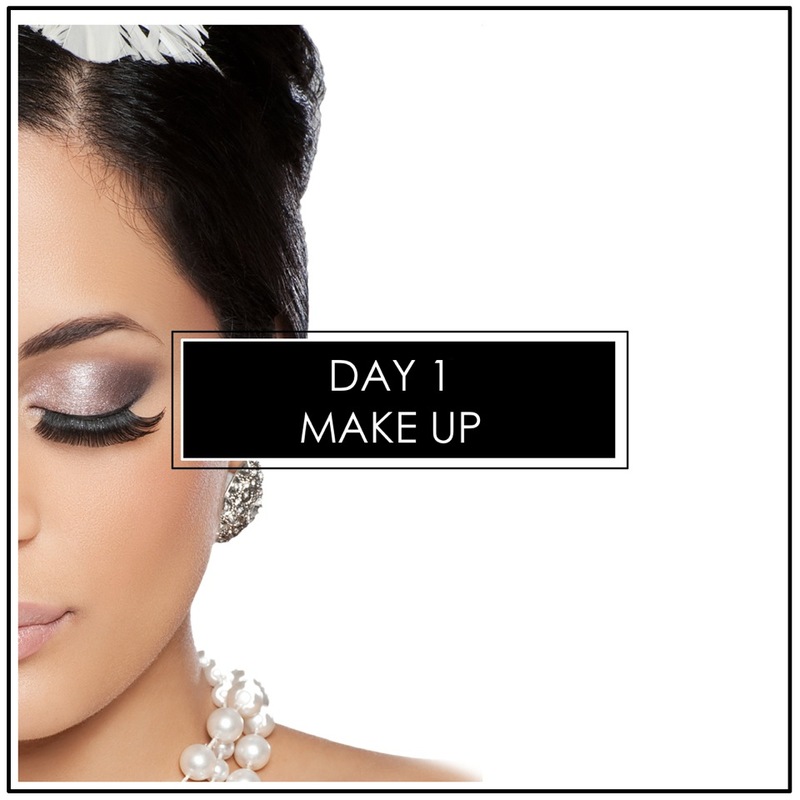 This is the day where we address the most common asked question, ‘can you do my make up for my wedding?’ Our experts give you specifics and detailed guidance on application techniques and help boost confidence. Our professional team and majority of our past students rate this as the best day of the make up classes! Hair is the ultimate finish to any makeover. Hair may look hard, but when made easy to learn, any look is possible. you will be provided with state of the art apparatus and equipment and a professional head doll to create hairstyles. 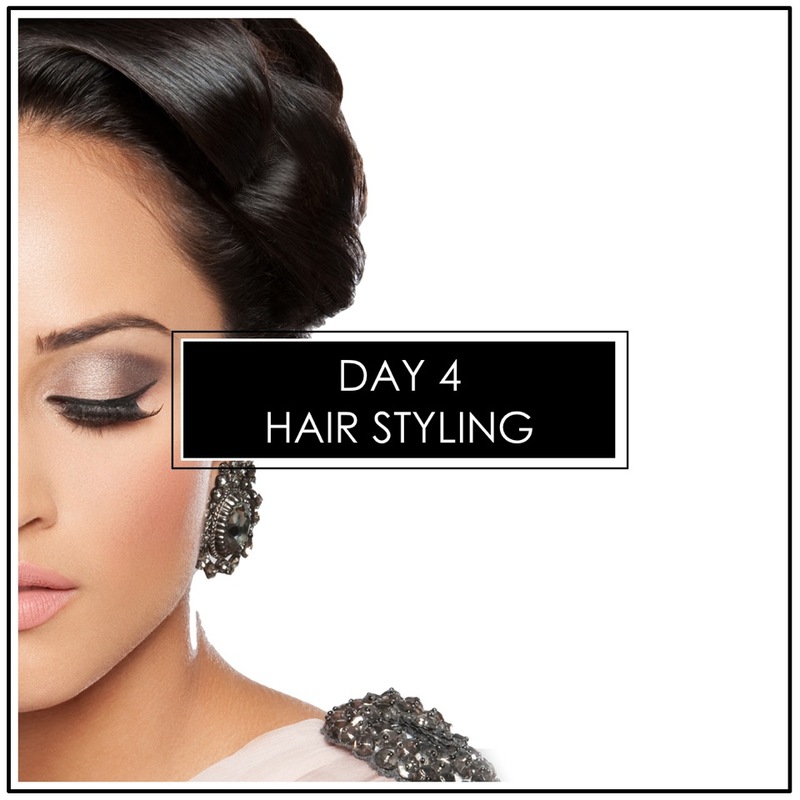 you will learn 5 in-trend hair styles over the next 2 days. You will also learn different curling techniques and how to use extensions to enhance your hair creations. You will learn some of our most secret techniques, our ground breaking styles and tips. See a behind the scenes insight to give your clients the latest hairstyles from the red carpet. Leaving your clients wondering how you created that!? Dressing the bride perfectly for her big day is extremely important. This is one very important skill a professional must obtain when creating that ultimate look for your client.